Street Fighter is owned by Capcom USA. It’s developed in Japan. Keep that in mind as we talk about what’s going on with Ibuki’s delayed release. 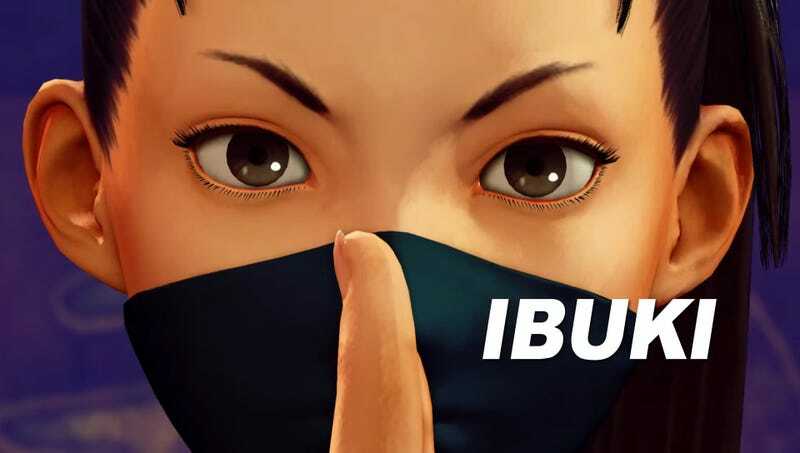 Earlier this year, Capcom USA’s community blog published a road map for this year’s releases, which set expectations for Ibuki to be released in late May. The first thing we want to address is the release of our next DLC character, Ibuki. We had originally aimed to release her in the last week of May, but in order to provide the best experience possible for our players, we decided to postpone her. We are doing our best to release the content in the last week of June. To reiterate, we are currently aiming for the last week of June to release both Ibuki and the Cinematic Story Mode. We apologize to our players all over the globe for not communicating this change to our release schedule sooner. While we planned to talk about the timing of her release this week, it’s clear that we should have been more upfront with everyone on the shift in timing. Moving forward, the development team will continue to put quality of the product above all else. This may result in additional delays in content deployment. That said, we will be much more transparent when plans change so all of our fans know what to expect. The problem is that Capcom USA’s road map apparently set expectations in Japan, too, which is why Capcom Japan also published an explanation. As a result of dividing these announcements by region, we’ve concluded this was a mistake and have come to fully realize that it has invited players to make misunderstandings and has bred confusion. We are truly sorry. Starting with Ibuki and the release timing of new contents and characters from here own out, we are working hard to keep in mind both Japan and North America and adeptly become able to release the same information worldwide. Sounds like a massive communication problem here, which is what happens when you have one American company (Capcom USA) that owns an IP having a sister company in Japan (Capcom) bring in another Japanese studio (Dimps) to co-develop the game. Combine this with language and time differences, and yes, you’re bound to have issues like this. Glad to see they’re keen to start coordinating better.